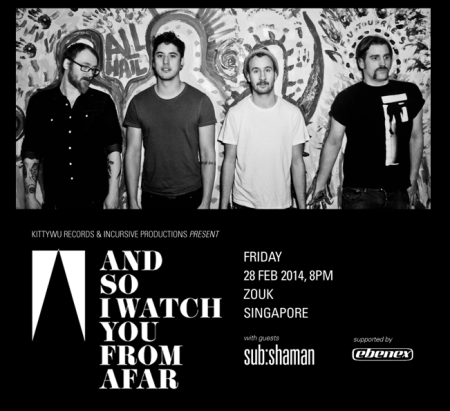 Yet another band to look out at Music Matters ’14 – the avant-garde rock beast that is sub:shaman! We’ve grown and evolved a lot as a band in the past couple years, and have new material that we’re very excited to share with as many people as possible! Music Matters being a traditionally great platform to reach out to a diverse and often new profile of listeners, we really wanted to test the waters and see how people outside of our regular, gig-going circles respond to our music. Playing this festival helps us to leave some sort of mark, or at least make our existence known to a larger network of people. We are also hoping to make lots of new friends and perhaps, along the way, open ourselves to new opportunities that hopefully extend beyond our shores as well. [Friday 23rd May] 1120 – 1150PM at AQUANOVA. [Saturday 24th May] 940 – 1010PM at Fern & Kiwi, and 1 – 130AM at Kuro Bar Restaurant. Probably what every other band is doing!–Jamming, writing, etc. We’ve been busy with a host of other projects as well, so it’s been a little tough, but nonetheless extremely fun and fulfilling. 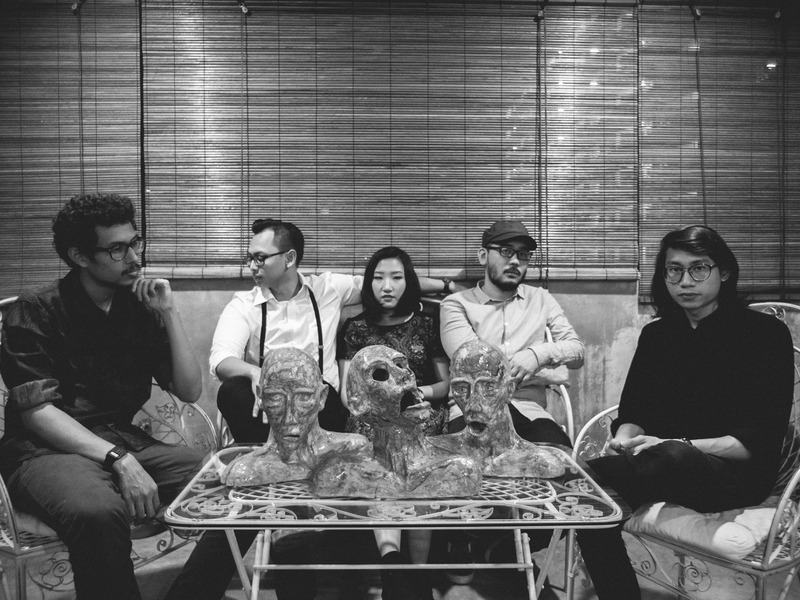 We would say that we’re a slight deviation from your run-of-the-mill rock band, and judging from some of the response so far, music lovers in particular have really appreciated some of the intricacies we have worked into our music. We can’t promise that you’ll love it, but it’ll definitely be a unique experience and we’re very excited to share our sound! The last time was December 2012. So it has been a long time coming. Yes, folks, it’s Fred Perry Sub-Sonic Live for 2013 and it promises to be a memorable occasion for all rock and pop music lovers. In keeping with previous editions, the venue is a surprising choice, unconventional but unforgettable. This time it’s Offside located at 2 Whitley Road, which is usually a place people go to play futsal (!) – yeah really…a space of over 30,000 sq ft under a flyover ( so we’re told). My regular readers will be aware of my love of hyperbole. After all, art and music should always be bigger than life and so I am always happy to oblige in that regard. So forgive me, if this post outstrips all previous in the hyperbole department. No other way to describe the week that will forever be known as The Steve Lillywhite Production Week! As a huge Lillywhite fan (and SGMUSO EXCO member), it was going to be an amazing experience no matter what. However, even that did not prepare me for the surreal, seemingly out-of-body experience that it ultimately turned out to be! See what I mean about hyperbole?!? I was fortunate enough to sit in the production sessions on the 1st and last day and was thrilled not only to see the legendary Steve Lillywhite in action but to witness the four bands (Atlas, MONSTER CAT, sub:shaman and The Sam Willows) have their collective confidence boosted sky high by a man who so obviously loves good music and music people. Everyone in the studio was buzzing thanks to Lillywhite’s infectious enthusiasm. It was impossible not to be infected with the buzz! From the bands to the producers to the crew to bystanders (like yours truly), it truly felt like S-ROCK history was unfolding before our very eyes (and ears). 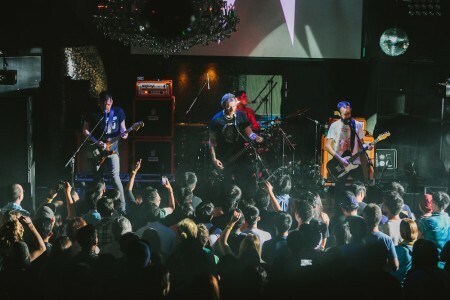 As much as we ourselves believe in S-ROCK, it is re-assuring and comforting to find someone of Lillywhite’s stature to be equally (it not more) excited about the potential and possibilities of the S-ROCK scene. It is validation of our efforts in the scene and our belief in the great S-ROCK bands that toil tirelessly in our sometimes thankless nation. Best part of all was actually getting to know Lillywhite a bit better and chatting over his experiences producing some of the more important releases of the 80s and 90s. This was aided by Lillywhite’s own humble, down to earth manner – it was impossible not to think of him as a like-minded ally and these are some of the memories I will always treasure.